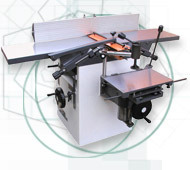 The 2, 3 and 5-operations woodworking machines from the list of VEDI International Ltd. are designed for manual operations in working of work pieces from soft and hard kinds of wood, chip-board plates, wood-fibre plates, plywood, MDF, etc. similar to wood materials. Different combinations of devices (surface planer, thickness planer, moulder, circular saw, boring attachment, tenoning carriage) allow the optimal use of the machines for domestic and industrial purposes. By customer's request the machines can be equipped with a big variety of cutting tools. 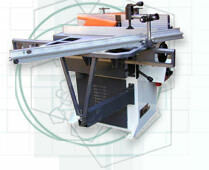 Choosing whichever of the combined woodworking machines you always choose quality, which we guarantee.